Listed in SAMHSA's National Registry of Evidence-Based Programs and Practices! 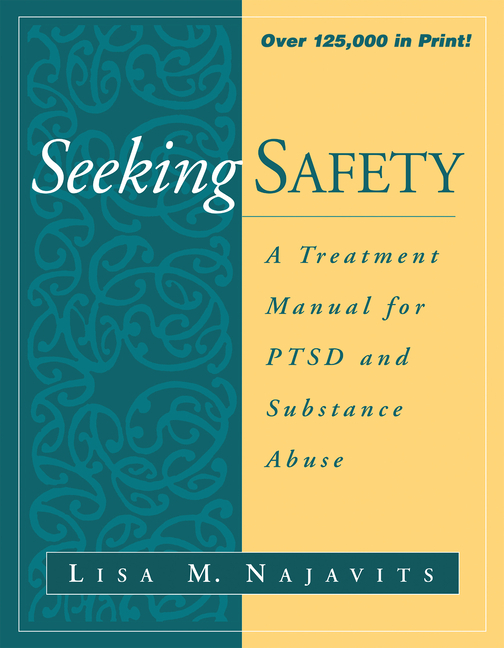 This much-needed manual presents the first empirically studied, integrative treatment approach developed specifically for PTSD and substance abuse. For persons with this prevalent and difficult-to-treat dual diagnosis, the most urgent clinical need is to establish safety to work toward discontinuing substance use, letting go of dangerous relationships, and gaining control over such extreme symptoms as dissociation and self-harm. The manual is divided into 25 topics, each of which forms the basis for one or more sessions. Covering a range of cognitive, behavioral, and interpersonal issues, topics include highly practical tools and techniques to engage patients in treatment; teach "safe coping skills" that apply to both disorders; and restore ideals that have been lost, including respect, care, protection, and healing. Structured yet flexible, sessions can be conducted in any order and in a range of settings. The volume is designed for maximum ease of use with a large format, lay-flat binding, and helpful reproducible therapist sheets and handouts. Lisa M. Najavits, PhD, is Professor of Psychiatry, Boston University School of Medicine; Lecturer, Harvard Medical School; clinical psychologist, VA Boston Healthcare System; and clinical associate, McLean Hospital. Her primary focus is the development and outcome testing of new therapy models for vulnerable populations, especially in the areas of co-occurring disorders, trauma, and addictions. The author of over 140 professional publications, Dr. Najavits is a recipient of the Chaim and Bela Danieli Young Professional Award of the International Society for Traumatic Stress Studies, the Early Career Contribution Award of the Society for Psychotherapy Research, the Emerging Leadership Award of the American Psychological Association's Committee on Women, and the Betty Ford Award of the Association for Medical Education and Research in Substance Abuse.